Wood, Hay, Stubble, and Fire. Who is the guy behind “Tips for Jesus”? Also, Faith Driven consumers reject Noah, Nuns in prison, Scientists read their Bibles, and being Saved as though through fire. 1. The mystery diner who’s been leaving large tips in the name of Jesus is rumored to be former PayPal Vice-President Jack Selby. According to San Francisco Chronicle, the tipper has left some $130,000 in gratuities in more than a dozen cities in the United States and Mexico during the last six months. 2. Faith Consumers’ Don’t Want Biblical Movies Not Based on Bible”. 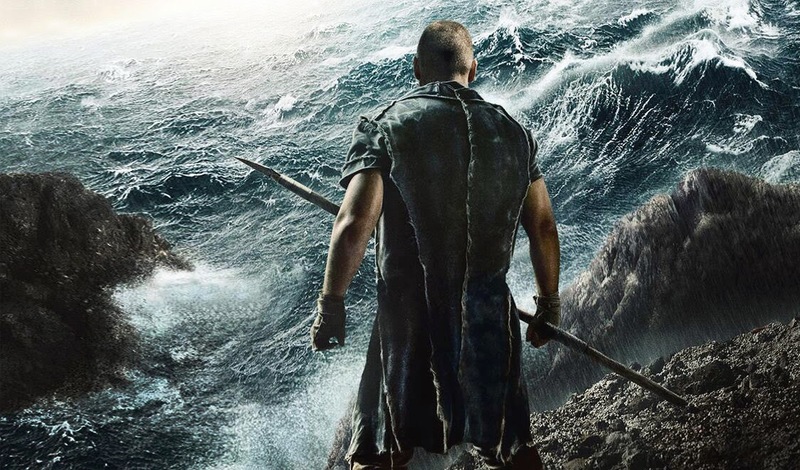 According to a report in the Christian Post, a new survey of “faith-driven consumers” finds that 98 percent would not be “satisfied with a biblically themed movie – designed to appeal to you – which replaces the Bible’s core message with one created by Hollywood.” This news is said to be bad news for Paramount Pictures, which is set to release the Movie “Noah”, starring Jennifer Connelly and Russell Crowe on March 28th. The project has been scrutinized by Christians for over two years ever since an early draft of the screenplay was leaked online. Heads at Paramount are said to be in full Damage Control mode, since the movie has cost over 125 million dollars to produce. 3. Pastor Jamie Coots, snake handler and co-star of the popular reality television show “Snake Salvation” died Febuary 18th after being bitten by a snake during a Saturday night church service. He was 42. The pastor of the Full Gospel Tabernacle in Jesus Name in Middlesboro, Ky was bitten at the church and had passed out, but when emergency workers arrived his family is said to have refused medical care. Pastor Coots, along with long time friend and John Wayne “Punkin” Brown, first came to national fame after being profiled in the book “Salvation on Sand Mountain”. 5. Four South Korean Christians on a Pilgrimage to the Holy Land were killed in a suicide bombing. 14 others were injured. According to a report on thespec.com, the group from a Presbyterian Church south of Seoul, were touring biblical sites in commemoration of the church’s 60th anniversary when a bomber pushed through into the bus and detonated explosives, killing the driver and three others. The group was to have visited Egypt, Israel, and Turkey over a 12 day period. 7. Pastors in central Kenya marched on the governors office of Nyeri county to protest a Finance Bill that would charge preachers for speaking outside of their churches. Christianity today reports that hundreds of pastors representing 1200 churches in the county attempted to contront governor Nderitu Gachagua because of provision in the bill that would have charged pastors 10,000 Kenyan shillings ($117) per day to preach in a stadium, 8000 KES ($93) outside a stadium and 5000 KES ($58) in rural areas. Nyeri county is not the first to consider such measures. A proposed law in Nairobi County would charge churches up to 50,000 KES (580) per day for use of public parks in Kenya’s Capital. 8. 2 Million U.S. Scientists Identify As Evangelical!! According to an article in Christianity today, Sociologist Elaine Howard Ecklund reported that a study of Scientists found that 17 percent identified as evangelicals. Ecklund authored the book ‘Science vs. Religion: What Scientists Really Believe’ in 2010 said that the both her book and this new study by a pervasive assumption that science if the enemy of religion. Interesting factoids from the study include that evangelical scientists are more likely to attend church and read religious texts, in other words… Read their Bibles.